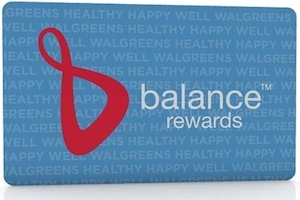 This is a very important update about the Walgreens Balance Rewards program! When the program had first launched, you could purchase multiples of the same deal in the same transaction and earn points multiple times. However, that may not be the case anymore. 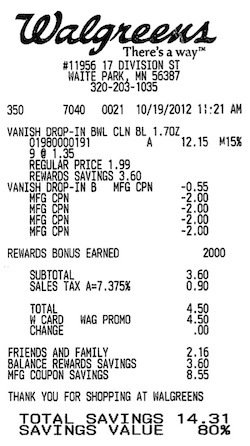 A recent Walgreens system update may now be giving points once per offer per transaction. If you want to purchase multiples of the same deal, you should do separate transactions to ensure you receive all of the bonus points. The Balance Rewards offer for this is buy 3, get 2,000 Balance Rewards points. Since I bought 9, I expected to get 6,000 Balance Rewards points, but I only got 2,000, as shown on my receipt. I asked my manager about it, and he told me I should do separate transactions in the future. He was nice and manually added the points to my account since I did not know about this. So if you’re purchasing multiples of the same deal, it may be a good idea to buy them in separate transactions, otherwise you might not earn all of your points!